Change prices, update spec sheet information, and other information in real time. Contact us to find your perfect aircraft. Tired of searching for your perfect aircraft, contact our staff to search for you. Through this free service, we contact many dealers on your behalf to help you find the aircraft you want. Contact us about a general question. 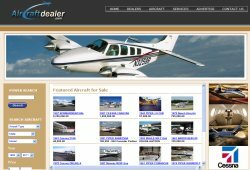 If you have a general question about AircraftDealer, contact us here.